Pretzels are a part of the landscape of New York City and, yet all pretzels are not created equal. 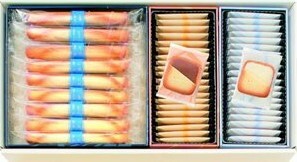 Those hard, dry and tasteless pretzels sold on virtually every street corner taste like cardboard and make people wonder what the fuss is all about. Surely New York can do better than that…and, they do but you have to know where to find them. 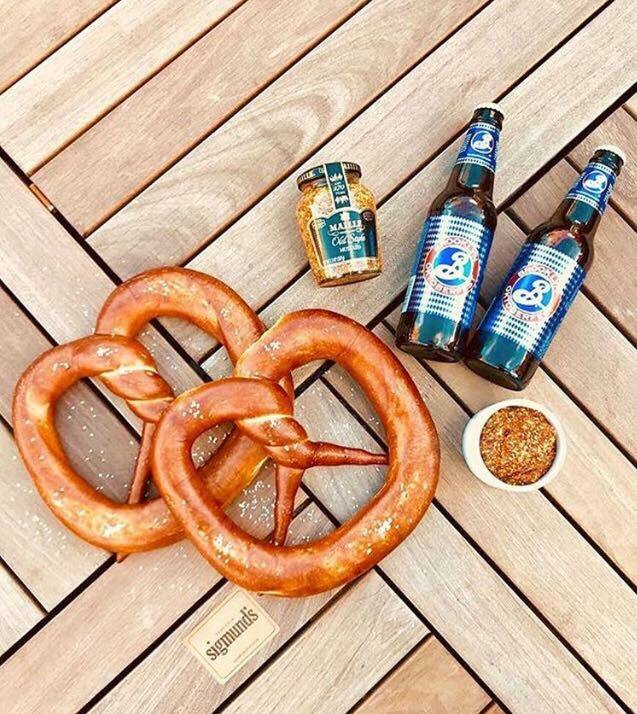 The best soft pretzels in New York are made by Sigmund’s Pretzels – an artisan baker who has been making soft, chewy sourdough pretzels by hand since 2009. 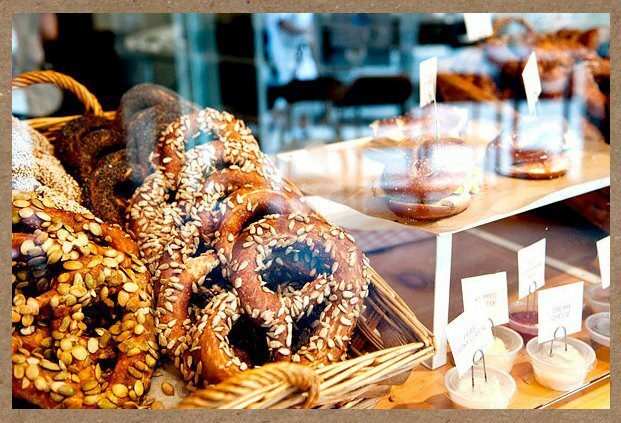 While all the mixin’ and cookin’ takes place in the company’s bakery in Brooklyn, the pretzels can be found all over New York City (including the holiday markets at Union Square and in Bryant Park from mid-November until late December) in Whole Foods Markets, Dean & Deluca, and bars or beer pubs throughout the city. Note: soft pretzels always taste better hot! 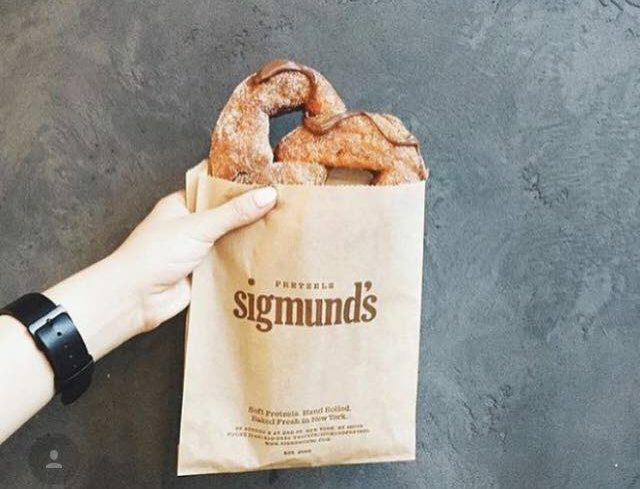 Sigmund’s Pretzels come in a variety of flavors with the plain, salted, garlic parsley, churro (with sugar sprinkled on top), cinnamon raisin, and everything (with sesame, poppy, sunflower and pumpkin seeds) vegan (dairy and egg-free). Enjoy as is or with your favorite mustard and beverage. 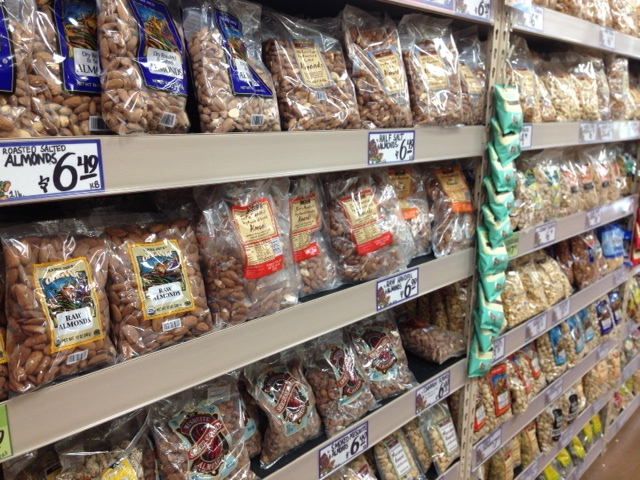 The pretzels generally sell for $4 each or $3 for $10. If New York is not your location, go to www.goldbely.com and order 24 plain for $55 ($2.29 each), 12 everything for $49 ($4.08 each) , or choose any 16 for $65 ($4.06 each), all shipping included. 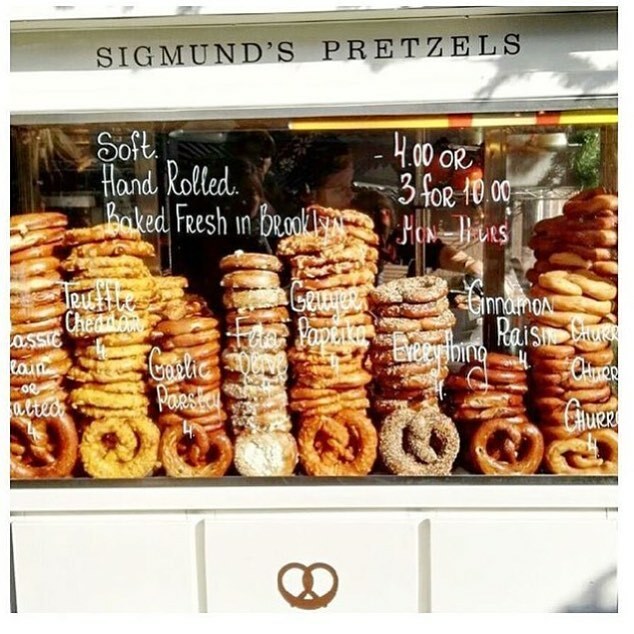 To read more about Sigmund’s Pretzels, go to the company’s website: www.sigmundnyc.com.